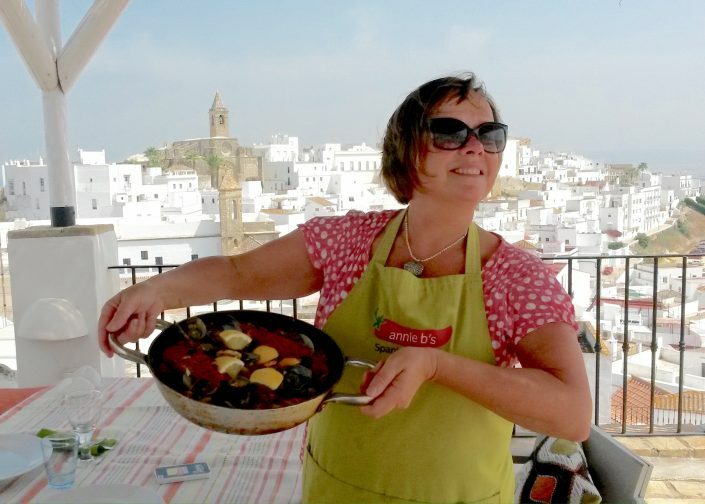 An indulgent Spanish cooking holiday exploring some of Spain’s greatest dishes, wines and historical cities. Always with food on our mind. 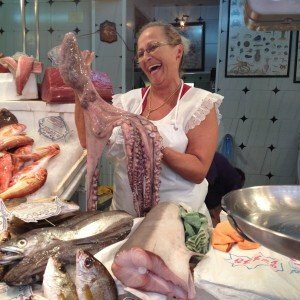 My principal cooking course features 3 days of cooking, 1 day trip to Sherry Country, 1 day trip to Cadiz and 1 day of rest. For additional dates, bespoke tours and group bookings please contact me to discuss options. *Prices inclusive of tax. Prices do not include flights or transfers. Welcome: You will be immediately immersed in village life as we head out to get to know Vejer. 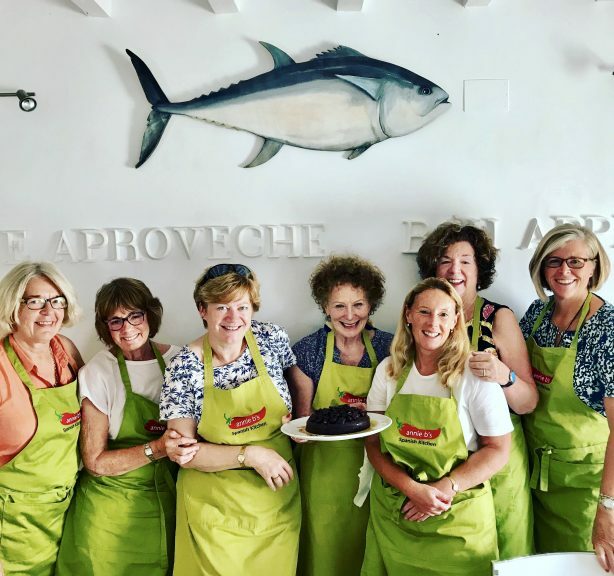 Meet Annie B’s friends in the wonderful tapas bars of Vejer to sample some of the very fabulous dishes on offer. 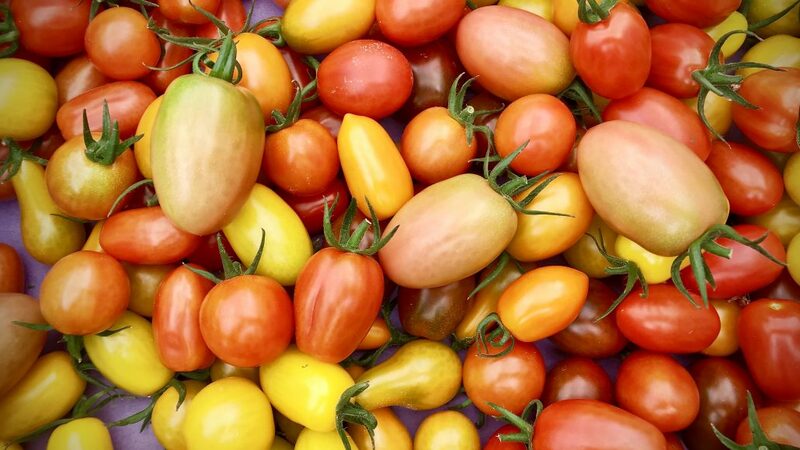 Spanish Day: Prepare to learn how to make some staple Spanish dishes such as Prawns in Garlic, Tortilla, Melon Gazpacho, Orange & Almond Cakes as well as some creative twists on the use of typical Spanish ingredients. From seafood to cured meats, expect locally produced Chorizo, various cuts of pork, seasonal salads and stews of fish & vegetables. After lunch (at around 16.30) you’ll have free time: you can either kick back and relax at your hotel, sample some of the tapas bars with your new cookery course friends or simply watch the sunset from a plaza with a good glass of wine – the choice is yours. Fish Day: No cookery course is complete without a guided trip to a typical fish market. We set off on the very short journey to El Mercado de Abastos (the main food market) in Barbate. While in the village (which is the tuna fish capital of Spain) we will visit a traditional preserved tuna shop that hasn’t changed for hundreds of years. 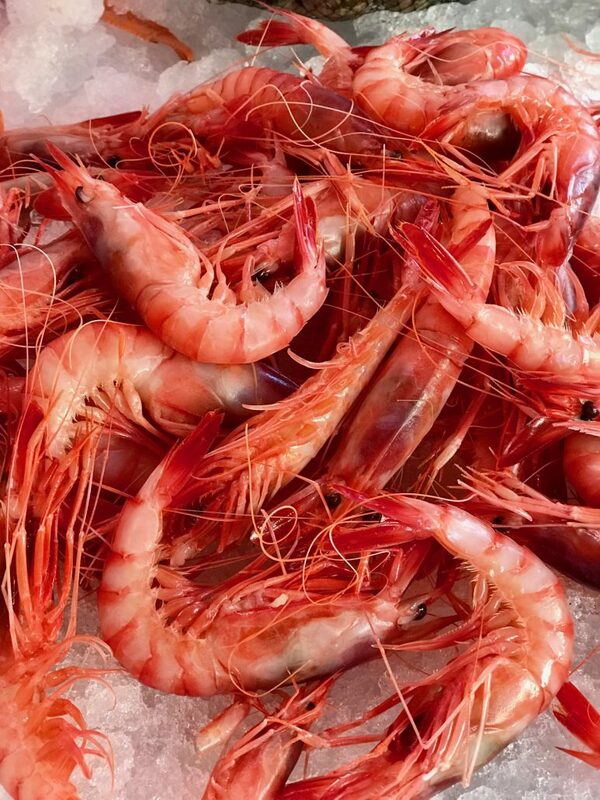 El Mercado de Abastos is where the fisherman arrive back with their catch of the day – it just doesn’t get any more fresh and local than this. 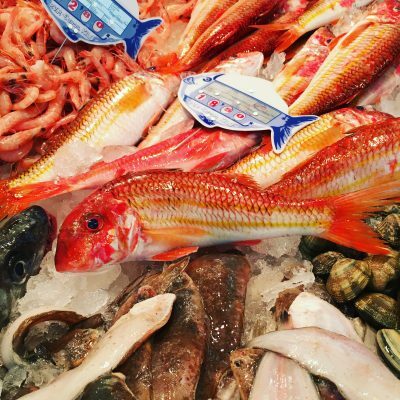 After learning about all the fish and seafood that’s on offer at the market, we’ll select our fish for our evening fish & Paella feast. 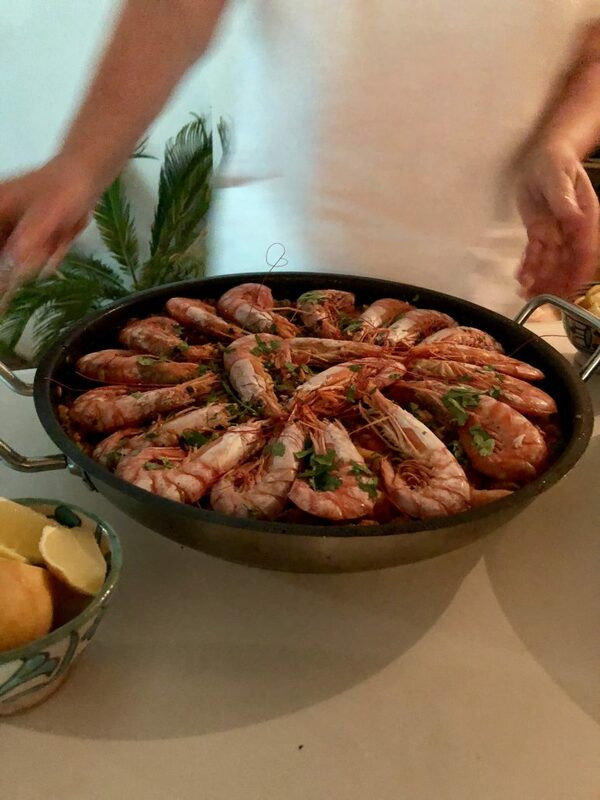 After a short break you’ll be expected back at Casa Alegre at 20.00 where you’ll learn the art of making a traditional Paella. This evening is led by Pepi (Annie B’s No. 1 cook). Through the use of typical flavours and ingredients you’ll learn how to make a show-stopping – and utterly authentic – Paella. Today is your free day to put your feet up, head to the beach or just explore the beauty of Vejer. 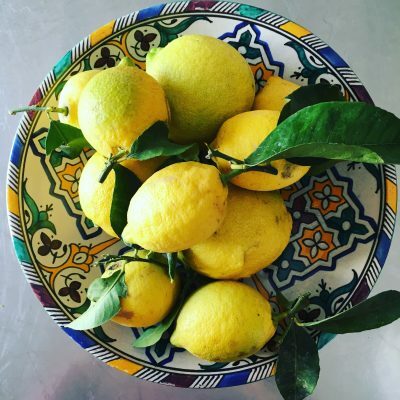 Discover Sherry: The Sherry Triangle is just up the road from Vejer and no visit to the area would be complete without learning more about this versatile drink. This is a day of tastings and we head off to the neighbouring towns of El Puerto de Santa Maria, and Jerez. We will be guided through a small family-run bodega where the Sherry-making process is explained to us. We will enjoy some well-earned tapas for lunch in either Sanlucar, Jerez or El Puerto. Pairing the different Sherries you have with the food of the area. After taking in the historic centre of Cadiz we then head inland to Jerez. Jerez is the capital of Sherry, and we finish our tour with a visit to one of the most prestigious Sherry bodegas which produces VORS (Very, Old Rare Sherries). To try to develop our Sherry palates we have more Sherry tasting at this atmospheric bodega before hopping on the bus home to Vejer. This evening is free for you to do as you please – head out to that bar that’s been winking at you or just relax with a bottle of water. Cadiz is the oldest constantly inhabited city in Europe. Surrounded by the ocean, it has never gone hungry and fish is the principle ingredient. It’s dripping in history – the Phoenicians, the Romans, the Moors, Christopher Columbus, Sir Francis Drake, Trafalgar and Sherry have all been part of its rich past. The Gaditanos (people of Cadiz) are the happiest in Spain. They love food, music and Sherry. So today we head to indulge in the food of Cadiz, following in the footsteps of Rick Stein, visiting the market, some cultural sites and as many tapas bars as your stamina allows. Coffee and picatostes will be the final dish of the day before we head back to Vejer. 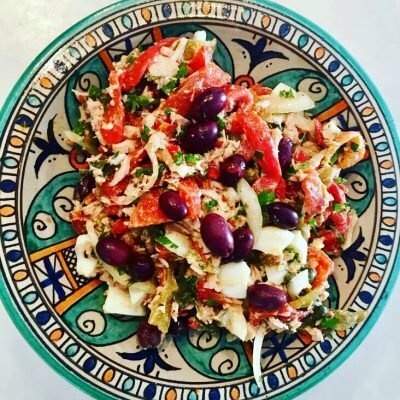 Today is your last class – Flavours of Morocco. 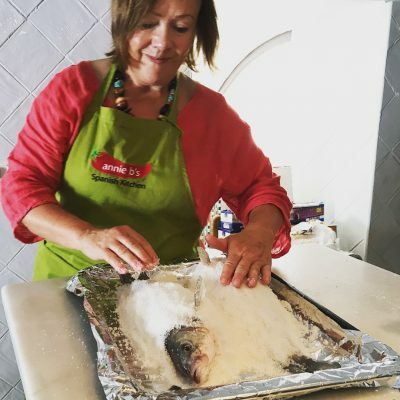 For over 600 years the Moors lived in Vejer and although all aspects of their culture were expelled in 1492, their legacy lives on through certain touches in the local cuisine. A delicious day mostly of vegetables with an added splash of chicken and perhaps fish. Lots of almonds and mint of course. Tonight will be your farewell dinner. Class get to vote for where that will be. Farewell breakfast: It’s time to say goodbye. Enjoy a leisurely breakfast in your hotel and have one last walk/extended photo opportunity around beautiful Vejer.